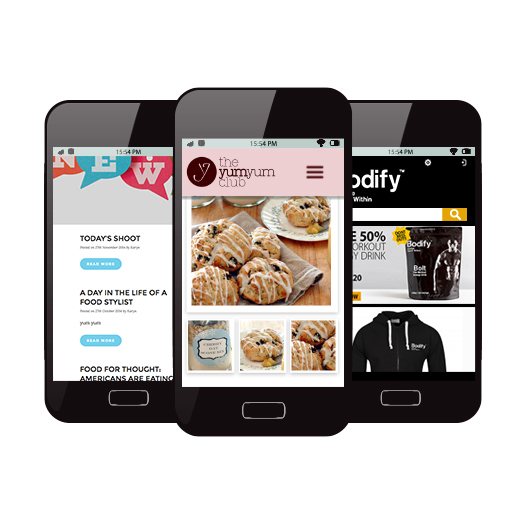 We can create a beautiful mobile website for your business, offering the very best designs and coding techniques to ensure your mobile site is accessible to all mobile devices. Your customers will no longer have to deal with a PC websites when using their mobile which will make for a much better experience and ultimately more engagement from your customers. Using the latest coding standards such as HTML5 and Bootstrap to ensure your website will work on all mobiles using one version without compromising on the look and feel of your mobile website.